UK: Ørsted has signed a five-year research agreement with the University of Oxford to optimise the design of foundation structures for offshore wind turbines. Research will focus on cyclic loading — the repeated loading that comes from waves, as well as wind — the partners stated. Doctoral and post-doctoral research projects, including on theoretical development, soil laboratory testing and medium-scale field tests, will be carried out to study the issue. Christina Aabo, Ørsted’s head of research and development (R&D) said investigating cyclic loading would lead to a better understanding of how to optimise wind turbine foundations. "This partnership will enable us to further mature our foundation designs to support even bigger turbines in even deeper waters, lowering costs and risk level at the same time," she added. 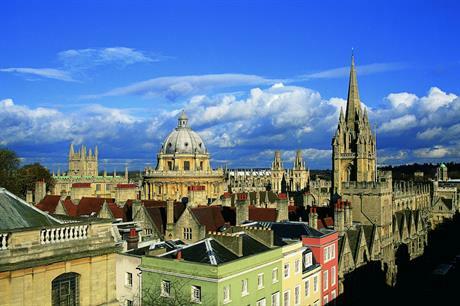 Ørsted and the University of Oxford have collaborated before. The university headed the Pile Soil Analysis (PISA) project commissioned by Ørsted and other developers to find ways to reduce the cost and weight of monopiles. The Danish company said the PISA programme had led to "significant improvements in the design of offshore wind foundations". Ørsted has also collaborated with other UK universities and educational and research institutions. For the past seven years, Ørsted has worked with the Durham Energy Institute, an energy research establishment attached to Durham University in the north of England. The collaboration covers research into optimising offshore wind power to reduce the cost of energy and the deployment of smart grids to better integrate renewable energy. Alongside Siemens Gamesa, Ørsted also co-funds a grant programme with UK government agency, the Engineering and Physical Sciences Research Council, to explore issues regarding availability and reliability of wind turbine technology.